Arranged by Andrew Wrangell. Individual Part, Solo Part. 4 pages. Published by Andrew Wrangell (H0.193581-222200). Give Me Love is the soulful song by Ed Sheeran from his 2014 album, x (multiply). The song pleads for forgiveness at being alone with painful memories. 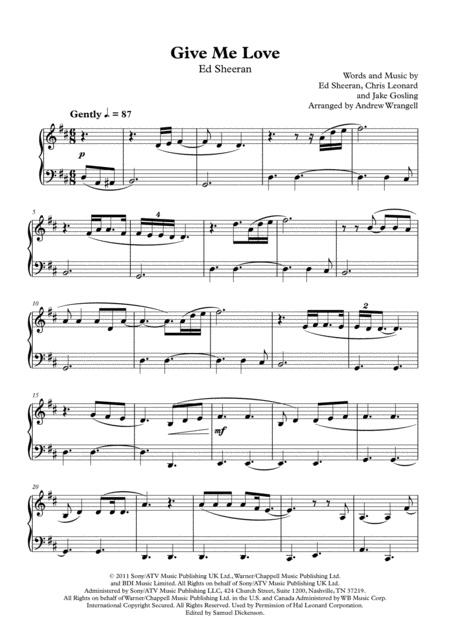 This arrangement by Andrew Wrangell is approximately grade 3 level. 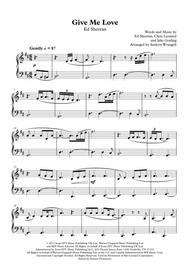 It's a great song and sure to be a fantastic repertoire choice at a concert.